Remy is the stud fee puppy from the Jake x Shane litter. He lives with Jake's owners, Jackie and Mike in New Jersey. Remy's first weekend out as a show puppy was a huge success. 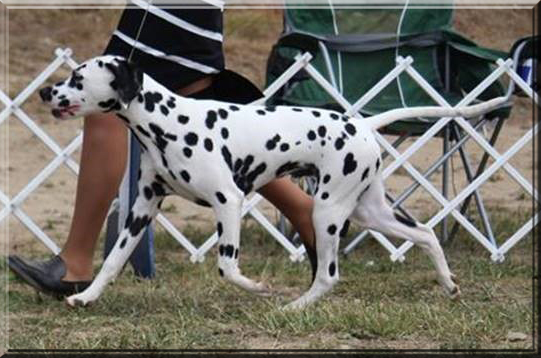 His first point was at his first show, taking WD at the Cape Cod KC show, 9/15/16, under Judge Kristofer Kelso. 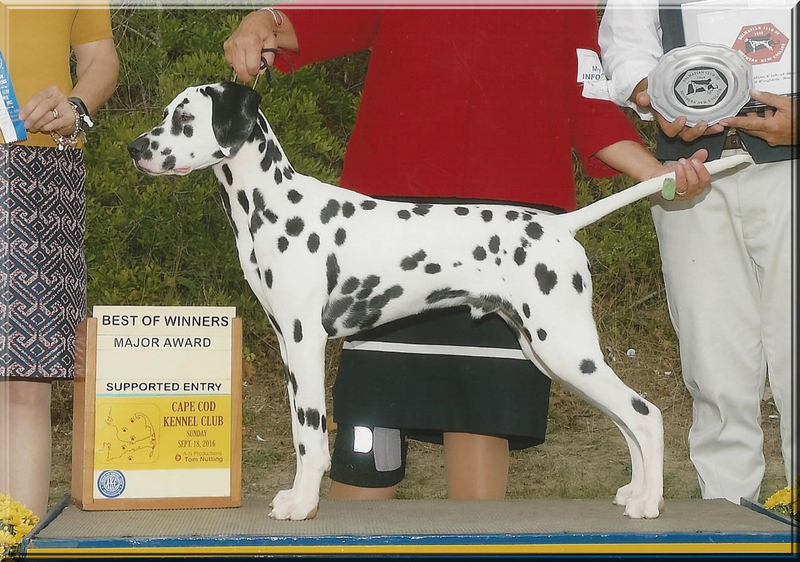 The following day at the Dalmatian Club of Southern New England Specialty, he earned his 2nd point under Judge Dorothy Dalton. On Saturday he took Best in Sweeps at the 2nd Specialty under Judge Glen Lajeski, and WD/BOW for 4 points under Judge Meg Hennessey. He finished the weekend by again taking Best in Sweeps under Judge Sue Haviland and WD/BOW for another 4 points at the Cape Cod KC supported entry, under Judge Marge Caltharp. Remy finished his championship the weekend of 11/4/17- 11/5/17 by taking BOW both days for 2 points and then his 3rd major, at the Black Mountain KC shows under Judges Steve Keating and David Bolus. We are very proud of this handsome young man.